Here we are: Black Friday. After a day of giving thanks and stuffing our faces, we all rush out to the closest big box store it stand in line for hours, hoping to get that $100, 32-inch LED TV. Well, TechArt has something for you, if you happen to be shopping for a car nut. This is the tuner’s 2014 wall calendar with its best body kits developed over the past year. Sure, it’s not a crazy-expensive or luxurious gift, but it is a great filler and would likely be the most-used gift over the course of the next 12 months. The calendar is printed on high-quality 250 g/m2 art print paper and measures 50-by-70 cm (19.6 x 27.5 inches). Each picture is protected by a glossy protective varnish, that will prevent it from discoloration and fading. The calendar is limited to only 1,500 units, so if you are interested you better hurry up. You can pick one up for €29.80 — about $40 — and shipping is not included. Deliveries will begin in early December. Click past the jump for a detailed look at the calendar. 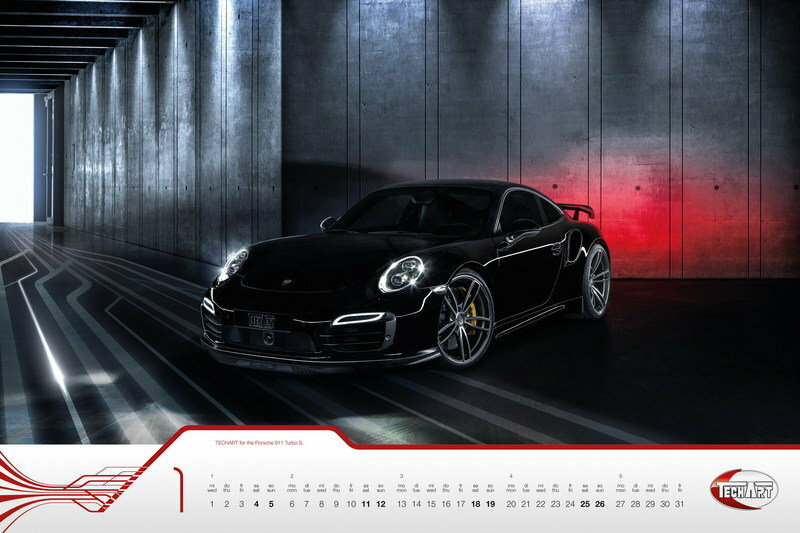 As of now the official TECHART Wall Calendar 2014 is available. 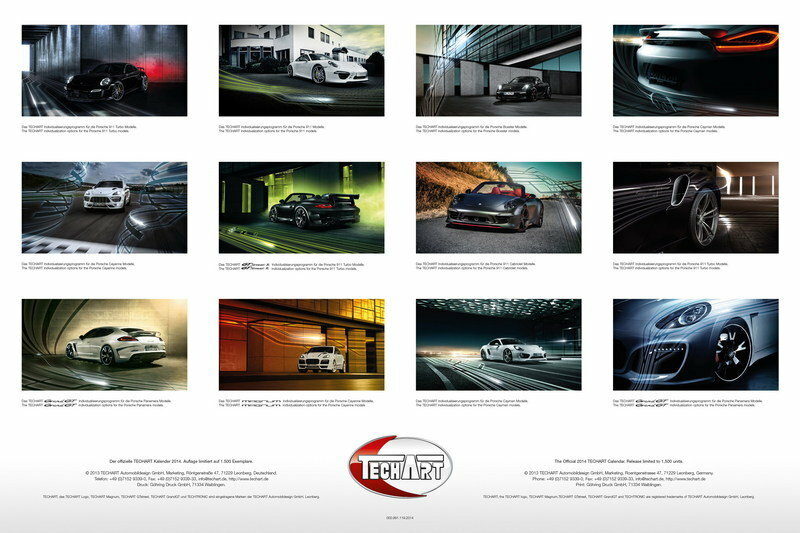 Limited to 1,500 copies it presents twelve exciting pictures of current TECHART Individualization Programs to fans and customers. 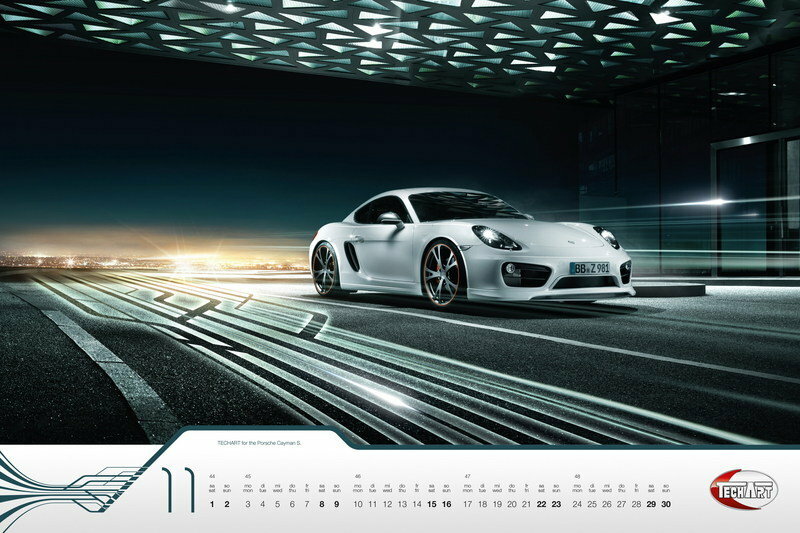 TECHART Automobildesign refines the coming year of its fans and customers with twelve individually designed calendar sheets. 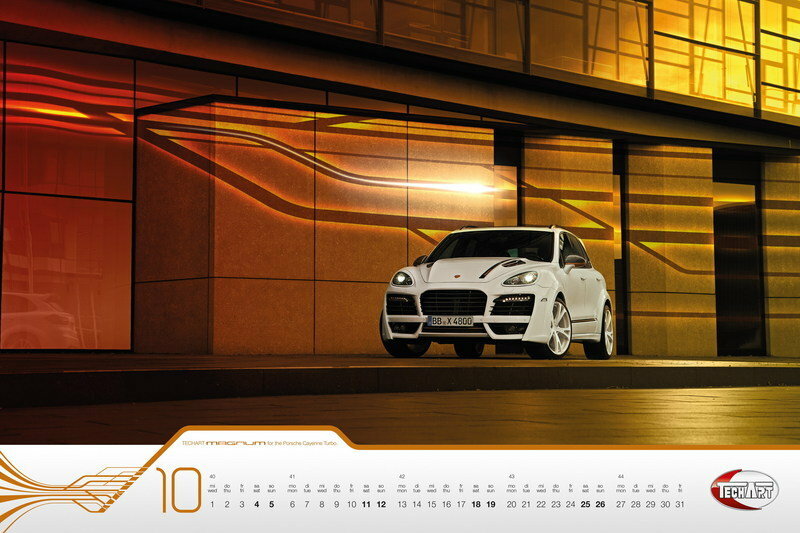 The official TECHART Wall Calendar 2014 is limited to 1,500 copies and available now. Printed on high-quality 250 g/m2 art print paper and with wire comb binding it shows current TECHART Programs in varied perspectives on a size of 50 x 70 cm. Glossy protective varnish prevents the pictures from discoloration and fading. 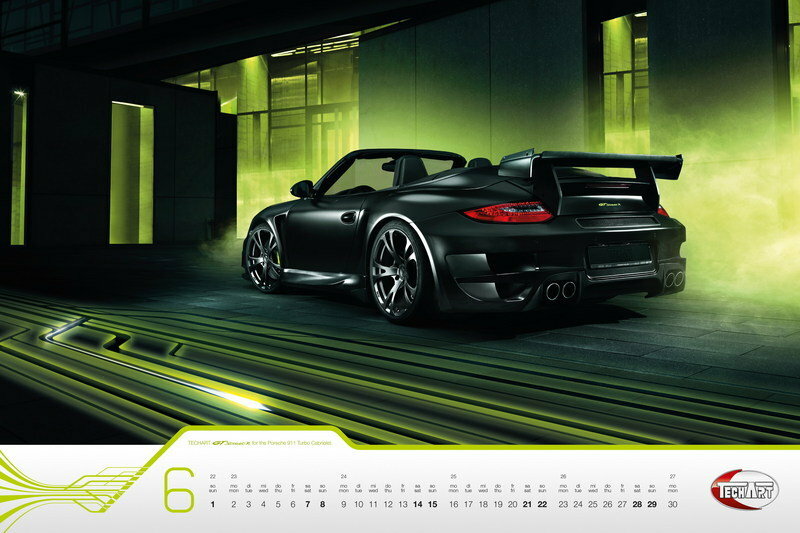 A coated 350g/m2 cardboard back protects the TECHART Wall Calendar and provides a picture overview as well. 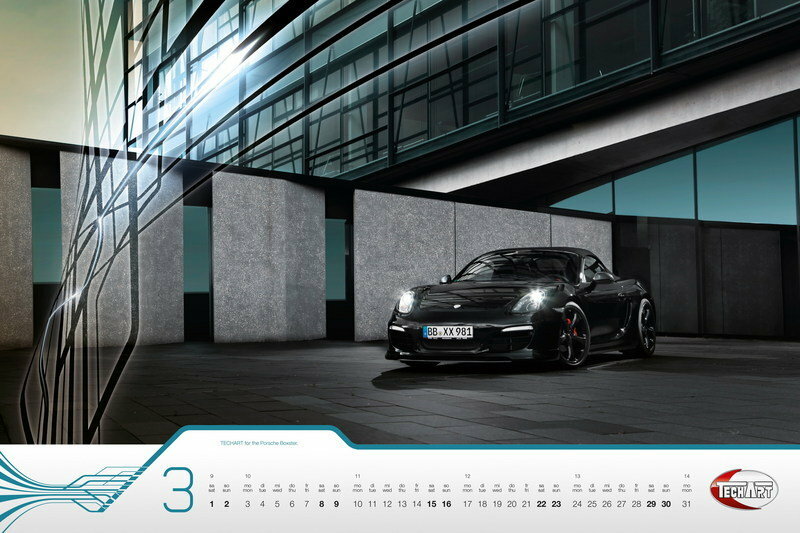 The TECHART Wall Calendar is shipped in a protective foil and cardboard packaging. It can be ordered at TECHART Automobildesign immediately for a selling price of 29.80 € incl. 19% VAT plus shipping costs. Shipping starts early December 2013.